Sweetening the celebrations during Christmas requires to be loaded with lots and lots of delicious sugary treats. Jump into your childhood fairy candy land along with Hansel and Gretel for this Christmas. The yummy, crunchy, colorful candies are sure to be an irresistible treat for everyone. 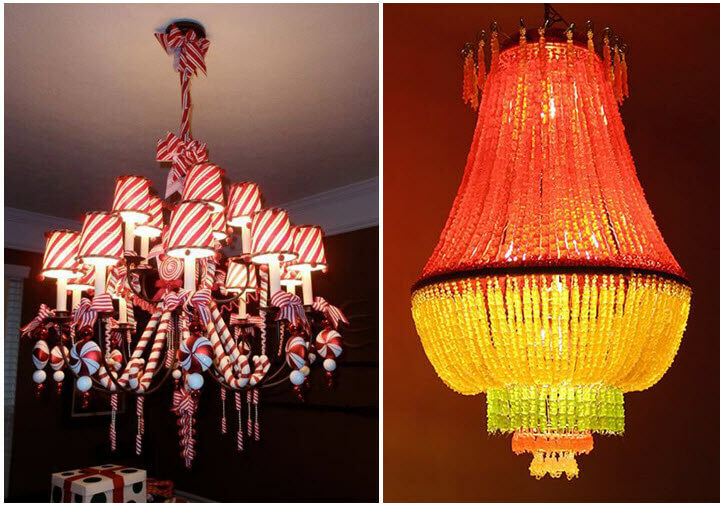 If you go crazy for candies just, try these candylicious decors to sweeten up the festive season. Colorful candy wreaths are the simplest way to flatter your guests right at the entrance. The peppermint Christmas edible wreath is sure to be a mouthwatering treat that reminds everyone’s childhood memories. The Bacilla cookie and candy felt wreath is a fun filled assortment of ginger man, candy canes, cookies that looks natural that anyone would try to taste but, remember it’s a candy replica. Your favorite treats are now a part of your Christmas décor. The rice krispie light ornaments mixed with melted marshmallows is a yummy colorful ornament for your Christmas tree. 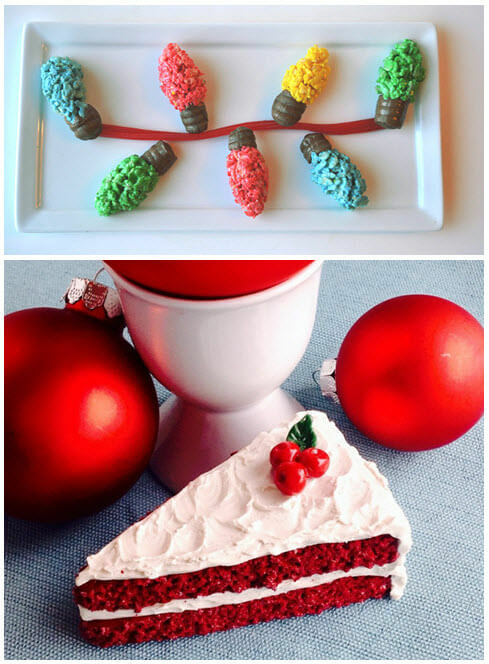 Never miss the red velvet cake ornament made of polymer clay if you are planning for a faux candy décor theme. Experience the sweetest Christmas dinning with these delicious centerpiece treats. The candy swirly, chocolate swan melts in your mouth and fill your heart with sweet and unforgettable memories. Add a chocolate fountain and make these centerpieces a standalone super star for Christmas feast. Add candy castle touch and feel even to your windows, furniture’s and furnishings with these peppy candy decors. 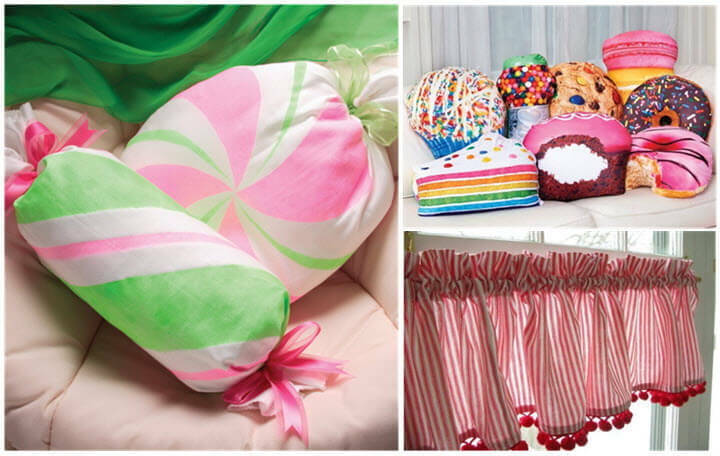 The candy cane window valence will add a bold sweet look to the décor, the sweet treat pillows are the ultimate choice to rest in your candy land. Can also order personalized candy furniture sets to match the theme. Make this Christmas the most special and memorable one for your better half. Surprise her with these unique sweet stuff to make her fall in love again and again with these chocolaty gifts. The watermelon candy clutch, the candy tree earrings, candy cane inspired Swarovski crystal heel pump court shoe makes her feet snug and stylish all season long. These are absolutely awesome gifs for your lady love and little sis. Sparkle up the décor with cute candy candles for the season. The chocolate cupcake candle, Gingerbread soy wax melts with its sweet candied aroma is a wonderful treat for eyes and nose, going to be the prettiest one that would shine up the spirit of Christmas. Personalized scented candles would be a perfect addition to your Christmas décor. Oh forgot to decorate chandeliers? Match them with your candy décor and find it look utterly luxurious. Hang candy canes, sweet ornaments, gummy bears and make it more colorful and interesting to brighten up the festive season. Involve your loved ones for creating a candy land this holiday season. This theme of fantasy candy land is loved universally. Decorate with real candies that makes you get tempted all the time you walk around the décor but replicas can be used for the whole season. So get set go with these delicious decors to enjoy this Christmas.